It is easy to use tool for creating flash banners. Use a big collection of free fonts, images and ready-to-use effects. 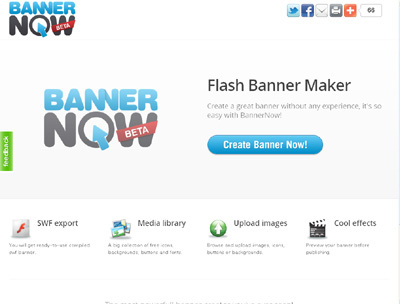 Bannernow is the most powerful flash banner maker! SWF compilation – publish your banner as standalone swf file.